Ask fellow campers about "Ranch House Lodge & RV Resort" and nearby attractions. Owners are great. The CG is being remodeled and new sites being added. The new sites are full hook-up, wide pull-thrus, handy hook-ups. There is a river running through the CG and great location. 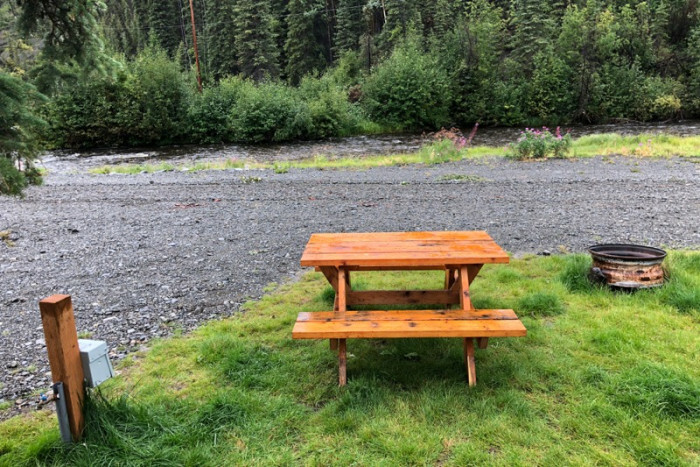 There are picnic tables and fire rings at each site. Set-up is easy and once the landscaping is complete should be even more pleasant staying here. We would definitely return when in the area. 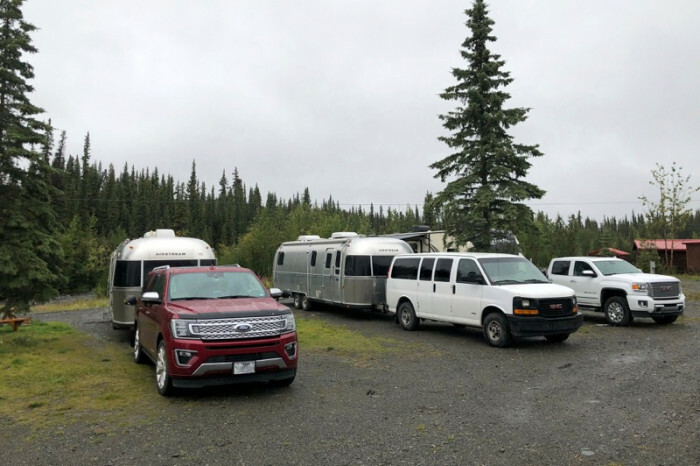 We camped at Ranch House Lodge & RV Resort in a Fifth Wheel. The CG is 16 miles from Glennallen and fuel. The owners are dedicated to customer service and provide a relaxing atmosphere. Nightly there is a home-cooked dinner in the lodge reasonably priced and excellent food. The Ranch House is a hidden gem. 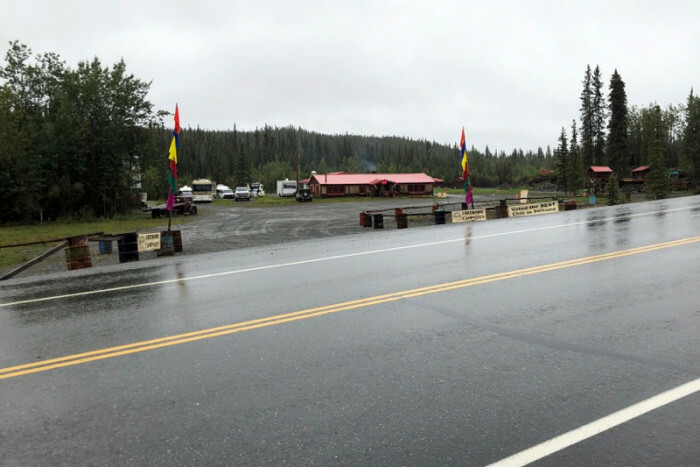 We stopped here en route from Palmer to Valdez intending to spend the night; we liked it so much we extended here for 2 more nights as we waited for better weather in Valdez. On the return trip from Valdez to Tok, we took the small detour at Glennallen to spend one more night. The couple who bought this place 7 years ago are continually improving the grounds and adding facilities while retaining the rustic appeal. 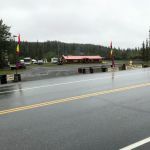 This is not a typical campground as they maintain it as a historic roadhouse. They offer dinner every evening around 6:30, chili, elk and bison burgers are a staple but the owner sometimes has prime rib or lasagna. His mashed potatoes needs no extra butter! Fresh brownies and ice cream are also offered. The owner is eager to tell of the history of this roadhouse. Guests are encouraged to sit together at one of the large tables in the dining area or at the small bar to get to know one another. 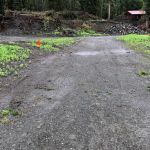 RV sites are being upgraded and most are pull throughs, many are along Tolsona Creek and the cabins are being modernized while retaining the feel of the 40s when the roadhouse was built. Some sites have 50A. The owner trucks in clear iron free water for drinking, showers and laundry. 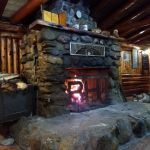 The bathrooms and showers in a central log cabin are excellent and unexpected in this remote spot. WiFi was quite good. 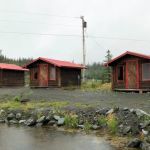 TV is non existent and cell service is weak as is typical of remote Alaska. 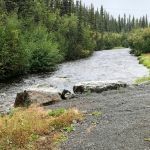 If we are fortunate enough to return to Alaska, we will definitely stay here again when passing through on the Glenn Hwy. 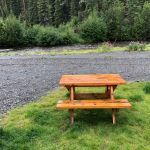 We camped at Ranch House Lodge & RV Resort in a Travel Trailer. 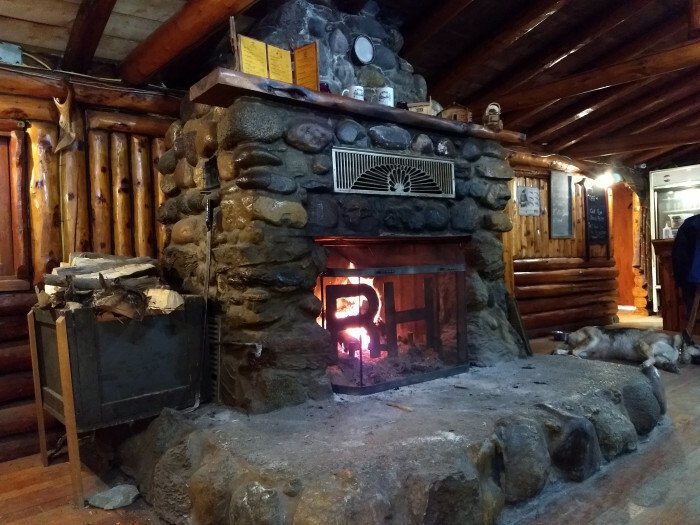 Have dinner in the roadhouse, meet your fellow travelers and swap stories, enjoy an adult beverage and the inviting fireplace. Listen to the rushing creek at night and look for the Great Grey Owls that live in the area and sometimes perch in the trees above the campsites. Love this park! Old historic roadhouse, great owners. They serve dinner each night, and campers are encouraged to get to know one another in the rustic roadhouse. Would stay here any time we were in the area. Highly recommend. 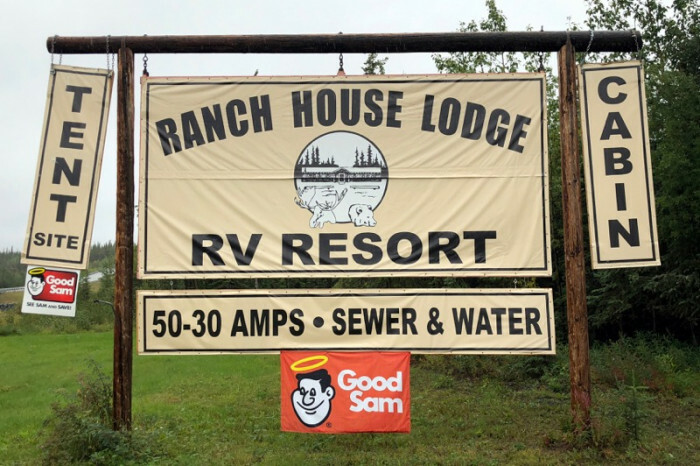 We camped at Ranch House Lodge & RV Resort in a Motorhome. Eat at the roadhouse on site. 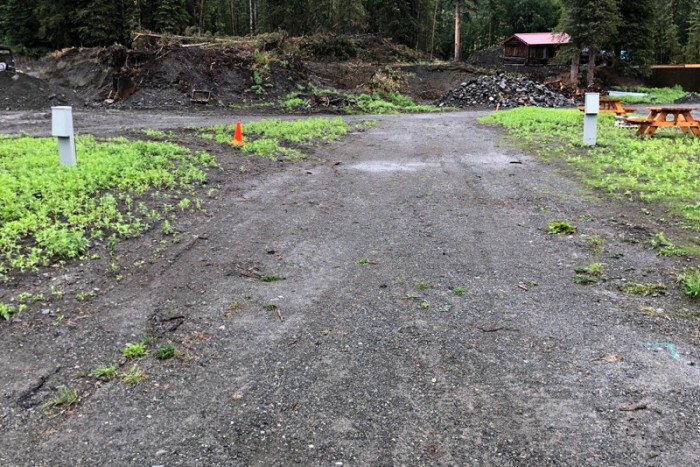 Go to McCarthy in Wrangell- St. Elias NP. Family run roadhouse, a lot of history here. Friendly owners, clean, full hook up -- pull thru ON THE CREEk! 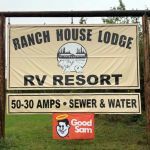 We camped at Ranch House Lodge & RV Resort in a Motorhome. Small park, friendly staff. This is an original roadhouse being rehabbed, with recently upgraded RV full hook up pull-thru sites. Enough room for our 40' FW trailer and 22' pickup truck. Our space was by the stream. We camped at Ranch House Lodge & RV Resort in a Fifth Wheel. 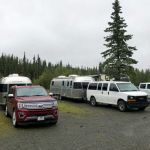 Are you affiliated with Ranch House Lodge & RV Resort ?